I’ve praised Turmeric before, the sweet salve to an inflamed, autoimmune, gut-compromised soul. It’s been used for yonks in Chinese and Ayurvedic medicine for digestive issues, inflammation, joint pain and blood purification. 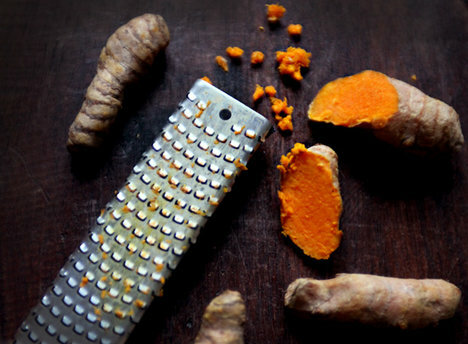 But with turmeric, it’s all about the curcumin…the bioactive ingredient in this golden root. 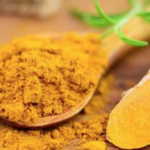 And with curcumin, there are totally ineffective ways of eating it…and effective ones! Curcumin is soluble in oil and insoluble in water. Got it? So, when eating turmeric, it must be eaten with good quality, saturated fat. Yep, this takes things further…and doesn’t have to be tricky. A study in the International Journal of Food Science and Technology found the bioavailability of curcumin increased when it was fermented. During digestion, curcumin transforms into different metabolites. 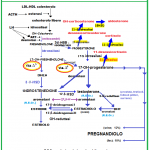 It is these metabolites that can be easily absorbed by the body, rather than the whole curcumin molecule. But what if your digestion is crap? Well, by fermenting turmeric outside the body, we mimic the digestive process enough to create the beneficial compounds of curcumin for easy absorption into the bloodstream. When you’re done, you can retrieve the fermented chunk of turmeric and use it as you would paste or powder. Try my turmeric tonic. I’ve experimented with this fermented turmeric tonic quite a bit. It’s based on my recipe for Ginger-ade and great for pacifying pain and cooling angry inflammation. Try my beet and turmeric kvass. A traditional Ukrainian drink, my beet and turmeric kvass packs a pink probiotic powerhouse punch with a slightly rustic, earthy flavour. Add turmeric to kimchi or sauerkraut. Add powdered or fresh turmeric to a batch of homemade or raw, live kimchi or sauerkraut. You may like to try my sauerkraut recipe. Drink fermented turmeric tea. Do as the centenarians of Okinawa do and make your own traditional ukon (fermented turmeric) tea. Add a few slices to kombucha. Once the initial fermentation period is done and the SCOBY removed, add a few slices of fresh turmeric and leave on the counter for a day or two so the bacteria, acids and enzymes can perform their work, helping to break down the turmeric. Learn how to make (almost sugar-free) fermented kombucha. Make turmeric water kefir. Make a turmeric bug following my instructions on how to make a ginger bug (replacing the ginger with turmeric). Add 1/2 cup of turmeric bug to 2.5 cups of water kefir. Allow to sit on the counter for 1-5 days until carbonated. Refrigerate before serving. Whip up some fermented turmeric gummies. Whisk 2 cups of turmeric bug with 1.5 tablespoons gelatine. (Read more about why I love gelatine.) Heat the mixture to allow the gelatine to dissolve. Pour into mould and refrigerate.